Parabens…..So What’s The Big Hairy Deal? In a recent post, I mentioned that I try to avoid parabens in my skincare products and someone wanted to know why. Well, that is a GOOD question! I did some quick research to make sure I was relaying correct information. First of all, what ARE parabens? 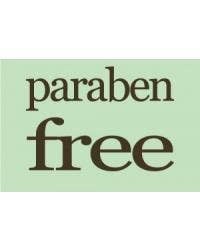 Parabens are chemical preservatives found in many cosmetic and skincare products as well as some processed foods. And why are they so bad for you? You can find articles heralding the benefits of parabens as a useful and inexpensive preservative and claiming that they are not used in high enough quantities to be dangerous, and you can find articles declaring parabens one of the worst evils of our modern age. This article at Wise Geek is actually pretty balanced. Basically, parabens can imitate the hormone estrogen and they have been detected in breast tumors. While there is currently no scientific proof that parabens actually cause it, some scientists believe that they may be associated with the development of breast cancer. There are also studies that suggest that parabens react with UVB, increasing levels of sun damage. I also wonder if they could play a part in the rising incidence of young girls developing at earlier ages, but that is strictly my conjecture. Personally, I feel better avoiding parabens when I can. I don’t go crazy with it, but I keep them in the back of my mind when I’m reading labels. I’m particularly concerned with my children using products that contain parabens. Unfortunately most children’s makeup products are cheaply made and DO contain parabens so I prefer for my girls not to play with makeup, much to their chagrin. I actually buy them decent stuff at Target sometimes, so they can enjoy wearing lipgloss and I don’t worry about subjecting them to dangerous chemicals. Common parabens to watch out for are propylparaben, ethylparaben, and butylparaben. Of course, if the label says “paraben-free,” then you are all set.